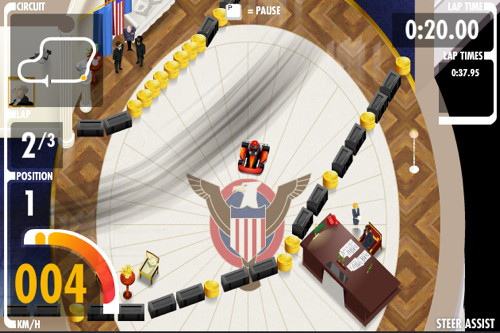 Description Race your kart inside the world’s greatest landmarks! Drive around palaces, speed through senates and power-slide in parliament. Controls Controls: Use the arrow keys – left and right to steer, up to accelerate and down to brake. This game is the perfect racer for me, it's good fun and easy to play.